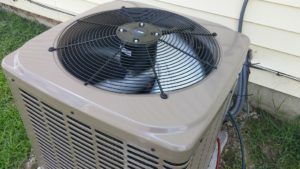 You are at:Home»Air Conditioner»What is the Difference Between SEER and EER Ratings for Air Conditioners and Heat Pumps? If you are looking for a new air conditioner for your North Carolina home, you have probably seen both EER and SEER numbers for different air conditioning makes and models. These two measurements are the same in that they both measure air conditioner’s energy efficiency. Yet they are also different and understanding them can help you make a more informed decision. EER stands for Energy Efficiency Ratio. The EER of an air conditioner is calculated by dividing the input electrical power (watts) by the amount of cooling created (measured in British Thermal Units or BTU’s) under a single set of conditions. The condition for calculating EER is an outdoor temperature of 95°F and inside temperature of 80°F with 50% humidity. If those conditions were constant then that is all we would need. Obviously, they are not and that is where SEER comes in. SEER stands for Seasonal Energy Efficiency Ratio. Rather than measuring the energy efficiency of an air conditioner at one operating temperature, SEER is the calculation of how energy efficient the air conditioner is during the cooling season at varying temperatures. Basically, SEER takes into account how the EER is affected by different temperatures. Where EER is calculated using a steady outside temperature of 95°F, SEER is calculated using a range of outside temperatures ranging from 65°F to 104°F. Voted Best HVAC Company in both Holly Springs and Fuquay-Varina by readers of Suburban Living Magazine, Alexander Heating and Air Conditioning provides commercial and residential heating and air conditioning repair, service and new installation in Cary, Raleigh, Apex, Cary, Clayton, Chapell Hill, Holly Springs, Fuquay-Varina and greater Wake County.